We're just a few weeks away from the 83rd edition of the Masters tournament as the world's best golfers get ready to start the major golfing season by capturing the one prize everyone in the game wants - the famous Green Jacket. 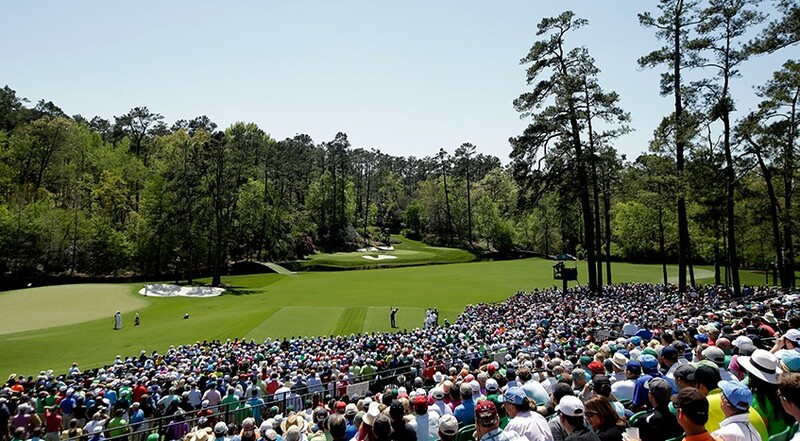 Much will be written about the greatest spectacle in golf in the lead-up to events upon the fairways of Augusta National and here's what we feel will be the early talking points as the first round on April 11th approaches. One of two separate maiden major champions in 2018, Patrick Reed showed nerves of steel when capturing the Green Jacket at Augusta last year and, though without a win since, he will remain a formidable foe this year. The chances of a back-to-back Masters win are quite remote though with only three men managing this particular feat in Masters history. Both Jack Nicklaus and Nick Faldo successfully defended their title, while the last golfer to do so was Garcia's old adversary Tiger Woods back in 2002. We fancy Rory McIlroy's chances at this year's Masters so much so that we've written a whole piece dedicated to that very topic. Having had four separate attempts at securing the career grand slam since acquiring third leg with his Open Championship win at Royal Liverpool, it's quite clear that pre-Masters discussion will continue to be dominated by McIlroy's next shot at golfing immortality. Will The Tiger Roar Return? No Masters preview piece would be complete without considering the great man, Tiger Woods. Having a (relatively) fit Tiger back playing major golf feels pretty amazing for most golf fans, and we can't wait to see him challenge for a fifth Green Jacket this year. Whether he still feels the effects of the troublesome neck injury that kept him out of the Arnold Palmer Invitational only time will tell. If it has settled, then there's every chance we could hear a return of the cacophonous support which followed his final round flirtation with the lead at both the Open Championship and PGA Championship in 2018. There are some very interesting Masters rookies this year. In particular the English duo of Matt Wallace and Eddie Pepperell will be teeing it up at Augusta National for the first time, while the Dane Lucas Bjerregaard will also make his debut. This trio are all multiple winners and showing good form. The last rookie to win during his maiden appearance at the Masters was the great Fuzzy Zoeller; can any of the men above manage the same feat? Time will tell we guess. Rose to rise in Georgia? Justin Rose managed his solitary major championship back at the 2013 US Open and he must be wondering if the Green Jacket will continue to elude him after recent near misses at Augusta. Back in 2015 he managed to post a 14-under-par total and this remains the joint lowest ever by a runner-up, while just two years ago he run into an inspired Sergio Garcia 2017 when a costly bogey on the 71st hole of regulation all but handed the Spaniard a maiden major win. With a 2019 already under his belt at the Farmers Insurance Open, this year could see another major win for Rose. Are you looking forward to this year's Masters? Who is your winner? Let us know below. Ready to 'Master' your golf game? Make sure you download the Hole19 golf app FREE today by clicking your app store button below. You can also learn more about the game-enhancing abilities of Hole19 Premium.